Texting My Pancreas: 50% Chance. 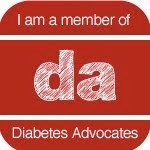 I'm finding that the acts of using a USB cord and programming a bolus on a t:slim insulin pumps have a lot in common. I know, right?! Really is counter-intuitive, and when I was using the t:slim that happened to me more than several times. 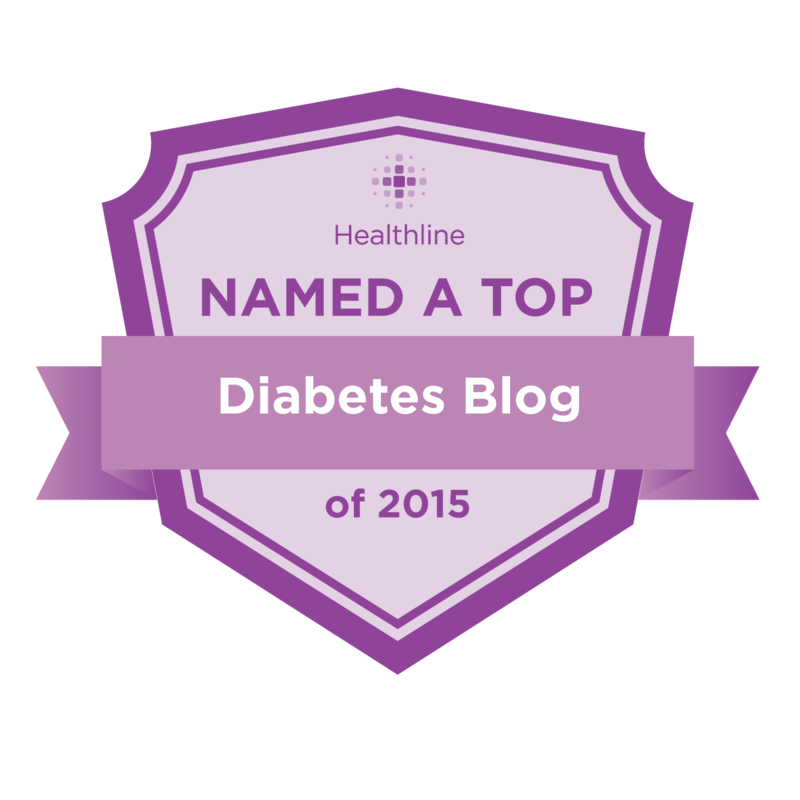 I caught it pretty much all the time, but I worry about others who might not have -- or if it was a correction in the middle of the night when I was half-asleep, and delivered a food bolus for a higher blood sugar number, and then went back to sleep... YIKES! Something Tandem really should consider and think about re-doing; total programming, so it doesn't seem like it'd be that big a deal. 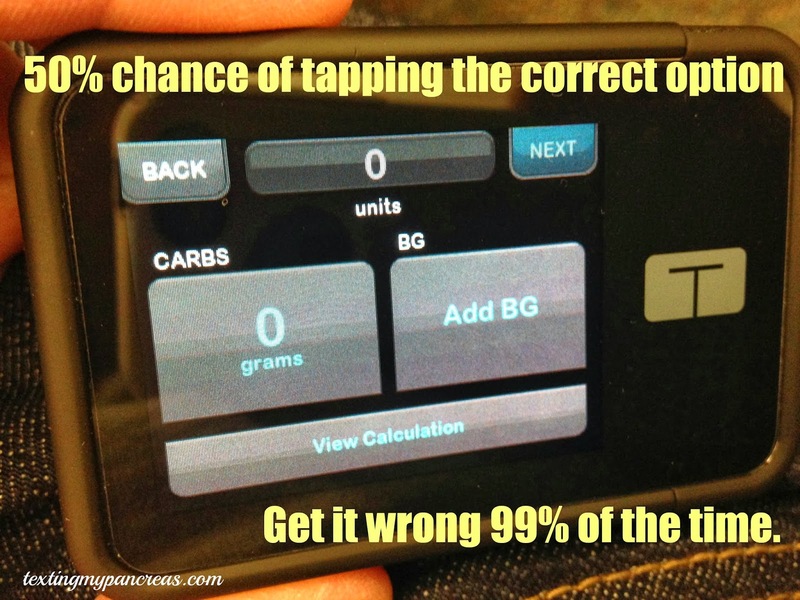 Most pumps prompt for the BG before the carbs, so I can see why it would be intuitive to put the BG button on the left. But to change it now (well, in tslim2.0), I think, would be a mistake - you'd confuse a previous generation of t:slimmers. The Medtronic pump has a "Max Bolus" parameter you can set... so if I try to bolus for 140 carbs (when I meant to put in a BG of 140), it will deny my request in all capital letters. Does the t:slim have something like that? I hear you! I have repeatedly put in a BG of "28" where that should have been my breakfast carbs - which is annoying because those "low BGs" now show up in the record. Is there any way to delete a BG once you've entered it and pressed "done"? Scott: There is a "Max Bolus" option on the t:slim. I'm an Animas Ping user and I get those button presses messed up all the time. 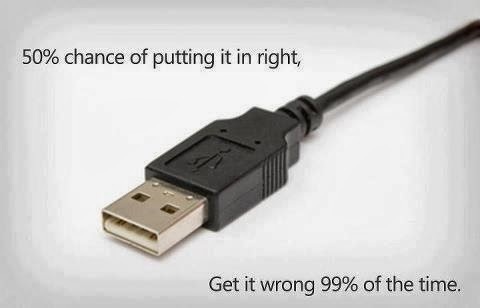 But, I never get the USB cord backwards. Why? My daughter pointed out the USB symbol looks like a cactus. If you put it in a device cactus side up, it will be right. But, there is an even faster fix. Stick a USB cord in a device. While it is still in the device, put a drop of nail polish on the top of the USB cord. Let it dry. Now you can tell right side up at a glance. At least that problem has a solution. Pushing the wrong buttons on a pump, not so easy to fix. Holy cow was that screen a bugger! Seriously... I almost bolused for 222 carbs instead of a BG of 222 one day. Thank GOODNESS for those confirmation screens! Wordless Wednesday: Bring The Beat In!